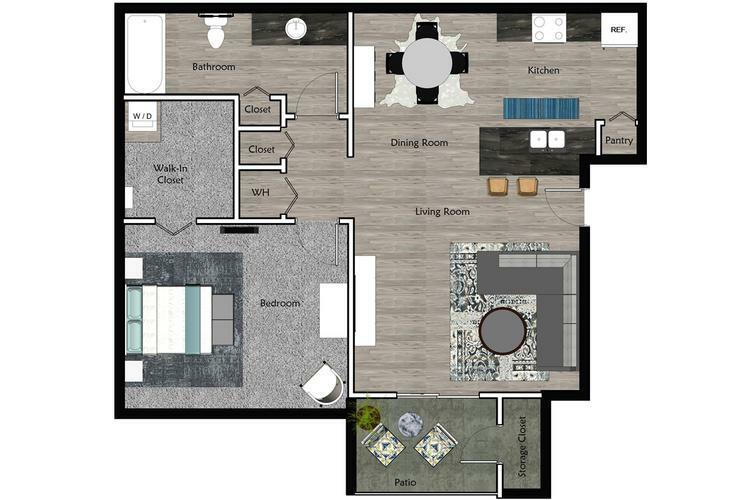 The Harris is our most popular 1 bed, 1 bath floor plan that offers all the comforts of home with the convenience of apartment living. It is equipped with a full size washer and dryer, modern kitchen with breakfast bar, a spacious bedroom with walk in closet. A separate bath is convenient for guests. Enjoy open concept dining and living room opening to your private screened in patio or balcony. You also will have a storage closet off the patio or balcony to store those extra items you may have.